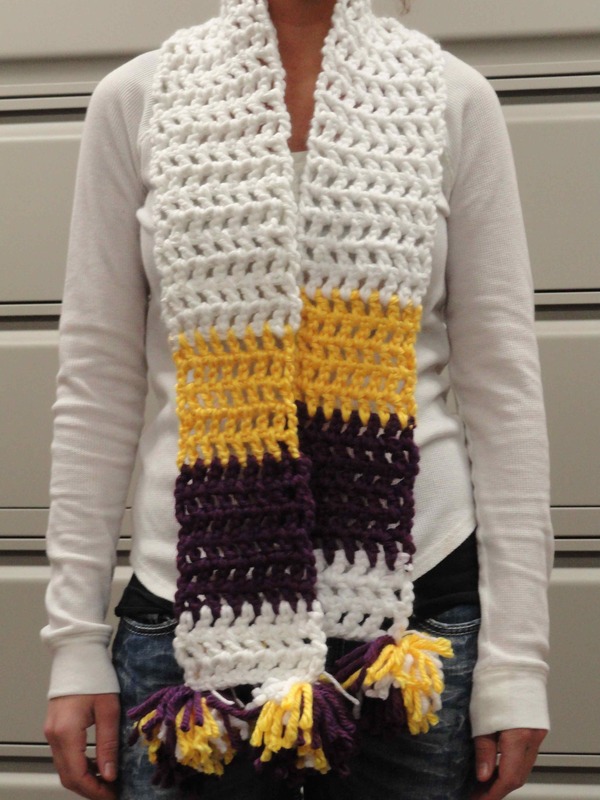 With some leftover Hometown, I threw together this scarf for a Viking fan for next football season. You may recall I made some Viking hats here. A maven (also mavin) is a trusted expert in a particular field, who seeks to pass knowledge on to others. The word maven comes from Hebrew, and means one who understands, based on an accumulation of knowledge. I don’t know about you, but I sure think we are pretty awesome mavens.